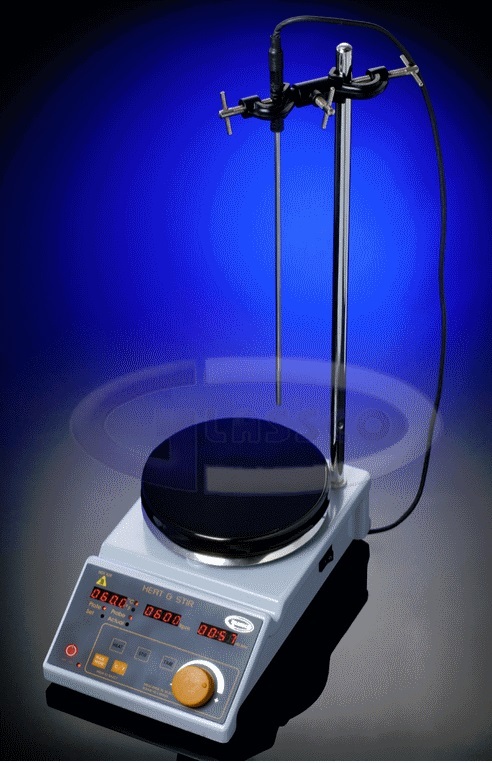 The 800.DG and 900.DG hot plate stirrers include control of time. For those applications where timing has to be programmed in the use of a hotplate stirrer, the HPLATE-D series is a welcome and economical choice. 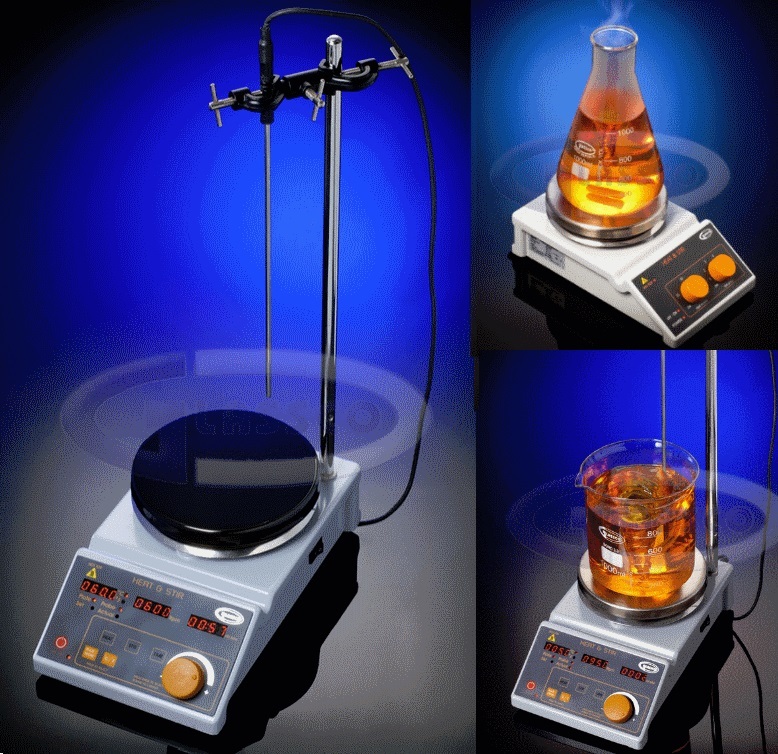 Like the well known brands from IKA or Heidolph Instruments, these hotplate stirrers offer precise, medium load stirring with very good temperature control via a temperature sensor, but they also have the time control feature that is not easily available elsewhere. 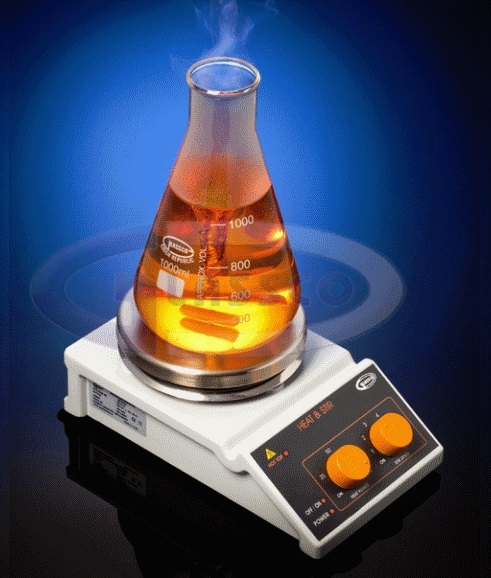 The HPLATE-D 800.DG and 900.DG Digital Hot Plates with Magnetic Stirrers, have either a stainless steel heating plate (800.DG) or a scratch and chemical resistant ceramic coated heating plate (900,DG). Designed with double Pt sensors, these hotplates also feature a digital temperature controller, speed controller, and time controller, all of which have independent LED displays. These accessories are included: boss head clamp, stainless steel rod, magnetic stirring bar, and Pt100 sensor probe. 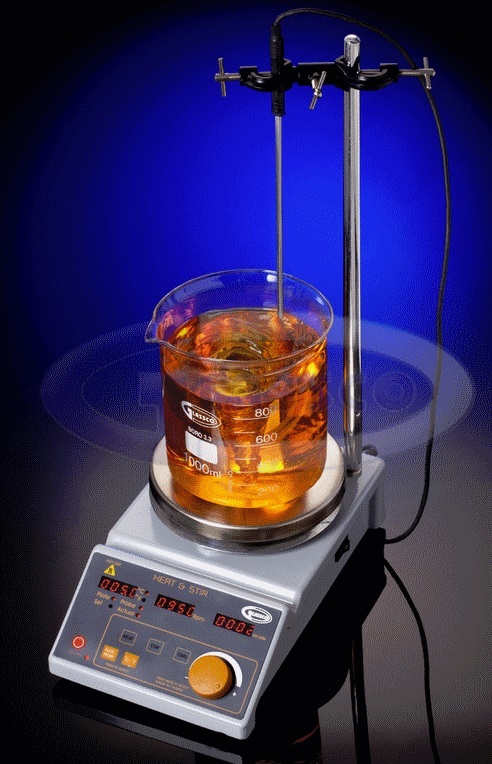 The HPLATE-A 700.AG analog control hot plate stirrer is an easy to use and economic alternative when timing is not required. It has a stainless steel platform and two separate knobs to control heat and stirring speed.